output voltage : 12V, 24V. High reliability, precision, effificency, ultra-small size, no external heat sink required, stable output voltage and etc, with short circuit, over-load, over-Power protection, Widely used in telecommunications, industrial control, instrument, data acquisition, signal control, New Energy, Security, DC motor, CNC system and other electronic systems. 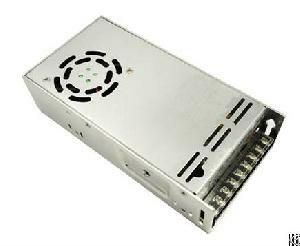 0.1W-40W DC-DC converters, 3W-30W AC-DC converters, 25W-1200W Enclosed /Open frame type AC-DC Switching Power supply, 15-480W AC-DC DIN RAIL Power Supply. Company Name: Guangzhou Top Power Electronics Technology Ltd.